Working together to build brighter futures. Almost 7% of the national workforce is employed within the Built Environment sector and over the next 3 years it is expected that more than 230,000 new jobs will be created in the construction industry alone. However, skills shortages are expected and there are also challenges with an ageing workforce. For example, approximately 50% of the energy industry’s workforce is expected to retire by 2023. The Prince’s Trust is working to provide access to opportunities in the sector for disadvantaged young people across the UK, an endeavor that is supported by our Built Environment Leadership Group (BELG), an industry-led initiative formed in 2006 by leading construction firms and industry leaders. I am incredibly proud that we have enabled almost 7,000 young people to start building careers in the built environment sector. We must continue to inspire and attract diverse, young talent and provide training and employment for young people in the sector. This will simultaneously drive social mobility which we are keen to champion. Balfour Beatty were founding members of the Built Environment Leadership Group (BELG) in 2006. Since then, through donations and the generosity of Balfour Beatty employees, they have given over £1.3 million to support our work. In particular, Balfour Beatty have delivered several Get Into programmes across their UK sites, giving hundreds of young people the opportunity to gain valuable skills and secure employment in the sector. This, in addition to their support of our Education and Development Award programmes, has helped transform the lives of over 3,700 young people across the UK. Wates have been a long term supporter of The Prince’s Trust since becoming a member of the Built Environment Leadership Group (BELG) in 2008. Wates Chairman, James Wates, chaired the BELG from its inception until 2017. 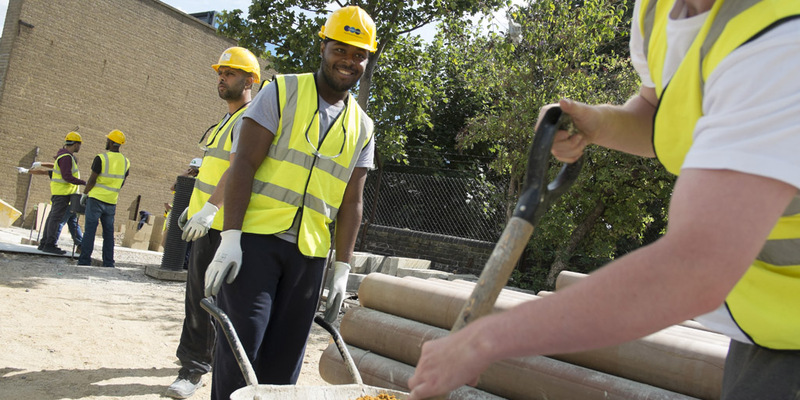 In 2014 Wates chose The Prince’s Trust as their chosen charity and to date their employees have raised over £200,000 and provided multiple work experience placements for young people on their sites across the UK. CALA Homes chose the Prince’s Trust as their Charity of the Year in 2016. The company has been heavily involved with the Trust’s Get Into programme and following completion many young people have gone on to secure apprenticeships with either CALA Homes or their subcontractors. CALA Homes has also secured funds for the trust, taking part in events such as Palace to Palace and the Three Peaks Challenge. Mears Group joined as partner of the Trust in 2016 and have been actively involved in engaging staff to volunteer with young people, harnessing the talent within the organisation for local community activities. Mears has also taken part in the Trust’s Million Makers challenge, an entrepreneurial fundraising challenge which sees companies across the UK competing to raise at least £10,000 or more over a period of six months.